With a deep and typically complex history, Poznań is rife with historical monuments and has much to offer those who enjoy outstanding architecture and diverse cultural attractions. While part of the beauty of Poznań lies in aimlessly roaming the streets and alleys, making chance findings from one turn to the next, there are a number of must-see sights whose discovery should not be left to chance. Your natural start point should be the Old Town, and its main square, the glorious Stary Rynek. Taking centre stage is the Old Town Hall, once renowned as the most beautiful building north of the Alps. Today it is home to the Historical Museum of Poznań as well as a pair of mechanical goats who emerge at noon to the delight of the sightseers gathered below. Of course there’s more to the Rynek than just the Town Hall, and visitors with plenty of time will enjoy investigating the other museums that line the perimeter of the square, including the impressive Archaeological Museum (ul. Wodna 27), the brutal Wielkopolska Military Museum (Stary Rynek 9), and the Wielkopolska Uprising Museum (Stary Rynek 3) - chronicling the 1918 Uprising which culminated in Poznań switching from German to Polish hands. Poznań also boasts two castles. First up is the Royal Castle, located just west of the Rynek, which was the seat of the first Polish kings; neglected for decades, the castle is currently being returned to its pride of place and parts of it are now open to the public. Further west is the Imperial Castle, built as the residence of Prussian ruler Kaiser Wilhelm II in 1910. Today the chambers and cellars of this fearsome complex house numerous restaurants and bars, as well as the 1956 Uprising Museum. To avoid churches in Poznań would take a serious case of river blindness. The gem of the Old Town is the Lesser Basilica of St. Stanislaus, which boasts an interior by a veritable who’s who of Roman Baroque artists, as well as a flamboyant pink facade. The most important place of worship in Poznań, however, is the Poznań Cathedral on Ostrów Tumski with its twin towers and surrounding chapels. This site is connected not only with the founding of the city of Poznań, but with the very birth of the Polish nation - a story which is now told in all its glory at the outstanding Porta Posnania. This modern complex is now the mandatory starting point for exploring Ostrów Tumski - Poznań’s glorious ‘Cathedral Island.’ Once you’ve finished strolling the Old Town, make sure you have the better part of a day to enjoy the medieval ambience and relative tranquillity of Ostrów Tumski. Poznań also boasts some glorious parks and green spaces. Lake Malta, just east of the centre is one of the most unique urban leisure areas in the country, and offers loads of family activities for all seasons, including skiing, roller-coasters, and the New Zoo. Meanwhile, just north of the Old Town, Citadel Park’s 89 hectares of public greenery are stuffed with interesting monuments, and even two museums focussed on the city’s military history. No matter how long your stay, you’ll find plenty in Poznań to keep your interest. 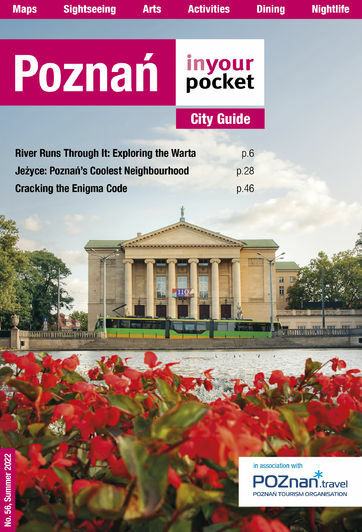 Use our website to explore it all and enjoy one of Poland’s most ancient and exciting cities.